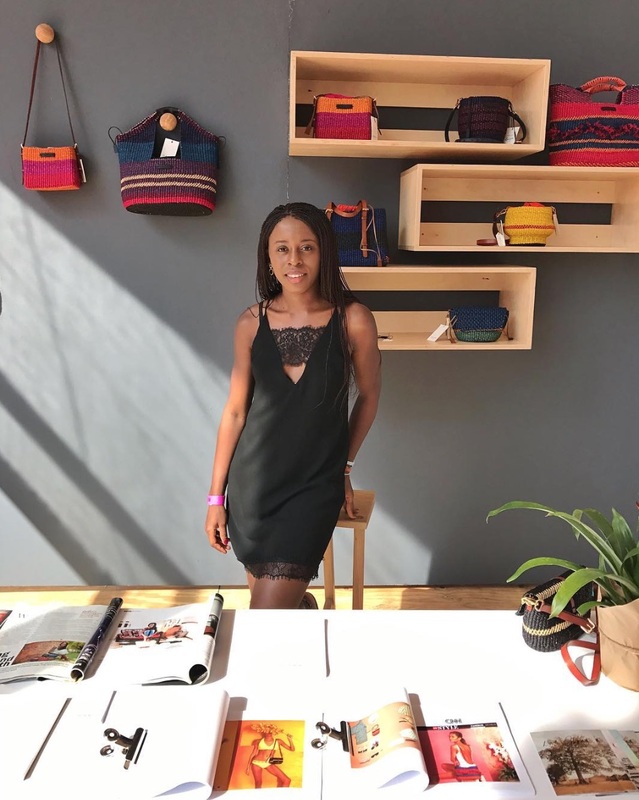 A conversation with Akosua Afriyie-Kumi, the creator of the globally-coveted brand AAKS, on returning home and perseverance in art and life. Part of the art of creating is resilience. This holds true for Akosua Afriyie-Kumi, an artist, designer, and founder of the Ghana-based brand AAKS. 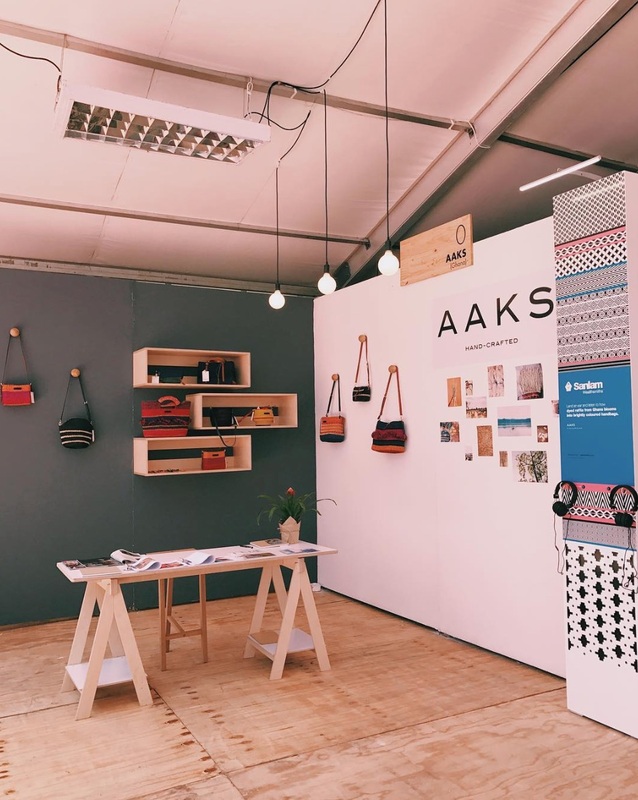 In just three years, AAKS has taken its vibrant handcrafted bags from a studio in Kumasi to the shelves of international retailers like Urban Outfitters, Anthropologie, United Arrows Japan, District Six Berlin and more. The globally-coveted brand has succeeded in bridging centuries-old craftsmanship with modern design while creating sustainable employment for communities of women. 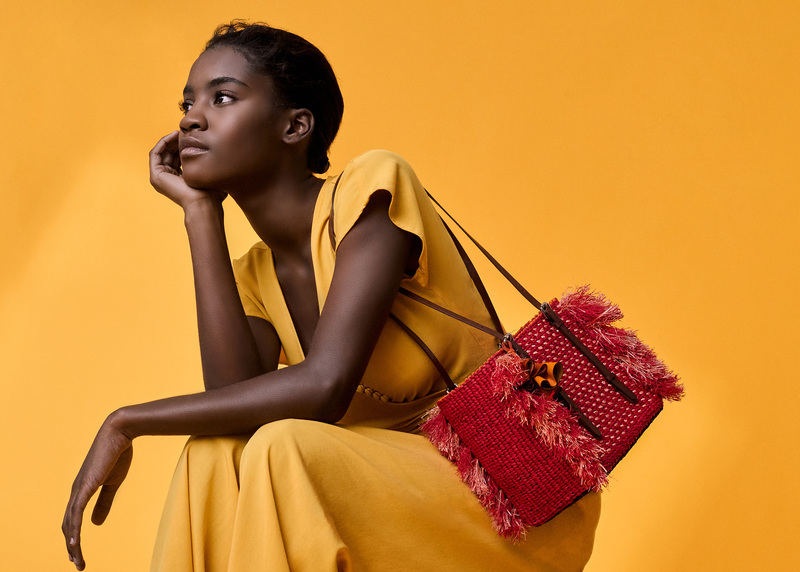 Every AAKS collection feels nostalgic, yet revived with a new creative energy, the result of Akosua's lifelong affection for her home and art. In a conversation that speaks to perseverance in art and life, Akosua opens up about her journey in returning home to Ghana and traversing the path to build her brand to what it is today. "For me, it was more about coming back home and seeing what I could do once I was here." I grew up in Ghana and moved to London at 19. You see, growing up in Ghana, most African families want their children to be doctors or lawyers and it is frowned upon if you want to do art. I'm lucky enough to have an open-minded family that supported my need for creative community, so I relocated to London to surround myself with other creative people and foster that. When I graduated, I was torn about whether to work in the UK or move back to Ghana. While trying to make my decision, on one of my trips back to Ghana, I saw these baskets sitting by the roadside and wondered why nothing had been done with them. And that’s how it began. When you ultimately decided to move back to Ghana, did you know you were launching AAKS? Definitely not. I just couldn’t let go of the idea of doing something with those baskets. I had no plan or even knowledge of how to run a business. I just moved. For me, it was more about coming back home and seeing what I could do once I was here. What was that process of going from not being sure of what you were going to do to starting your brand? I live in the south of Ghana and weavers are primarily in the northern rural areas. I knew I wanted weavers to create baskets with raffia, an extremely durable yet soft material that's difficult to source and found in swampy areas. Since raffia isn't typically used for weaving, I tried to find quality weavers in the south who could do this, with no luck. I tried about 10 people and nobody worked. I was frustrated, but I did what I had to do and traveled north. Going to the north is a 10-hour drive. Even after my first visit, it took me a year to convince the weavers to work with me. These weavers had so many people approach them to do work, with empty promises so they were apprehensive. Plus I was young, so they didn’t believe I could supply them consistent work. The process of earning their trust took going back and forth between Kumasi and the north every two months to build those relationships. I can imagine how disheartening that could be, what kept you going during those times? I was just convinced that I wanted to do this and nothing was going to stop me. Even when raffia was hard to source or I couldn't find weavers, I knew I had to keep going. I remember breaking down in tears because nothing worked, and then all of a sudden, things started to get better. And what was that shift? How were you able to cultivate that trust with your weavers? I prioritized building a personal relationship. I was present, I was there, I took my brother and my mother to visit them. I was eating their food, staying with them, becoming part of their community. It wasn’t a strategy, it was about being me and being personal. I learned about who they were, their families, I became one of them and that’s what sparked that shift. How has the journey been since then? Both fulfilling and challenging. Things constantly don’t work. I think that’s the most frustrating thing about working in Ghana, the constant challenge. Whether it’s finding the right staff, having people come to work on time, going to the bank and spending hours just to print your statement. You wake up every day knowing that it’s going to be a challenge and you prepare yourself for that. But, I love what I do. I feel if I’m doing the work and I’m getting it too easy, then there's more I could be doing. And now AAKS has come so far, and I’m just so happy to be able to make an impact on these communities. How has your brand been able to impact the communities you work with? Everyone I’m working with, my staff in Kumasi, didn’t have a job beforehand. They had been sitting at home for a few years after graduating, without being able to find work. Some of them had been home for 2 or even 5 years. So I’m grateful to be able to have them with me. For my weavers in the north, typically they’d weave a basket, go to the market, and hope someone buys it. Now they have steady income because we’re always producing. Recently when I went to visit, one of my weavers had been able to build a house, others who weave part-time had been able to finish school. Compared to where they were when I started, and where they are now - it inspires me to work harder so that they’re able to continue to provide for themselves and put their kids through school. What’s in store for AAKS in the next year? For the past year, I’ve been working with the United Nations on a new refugee artisan project. Because of that, I’ve diversified into some other things. 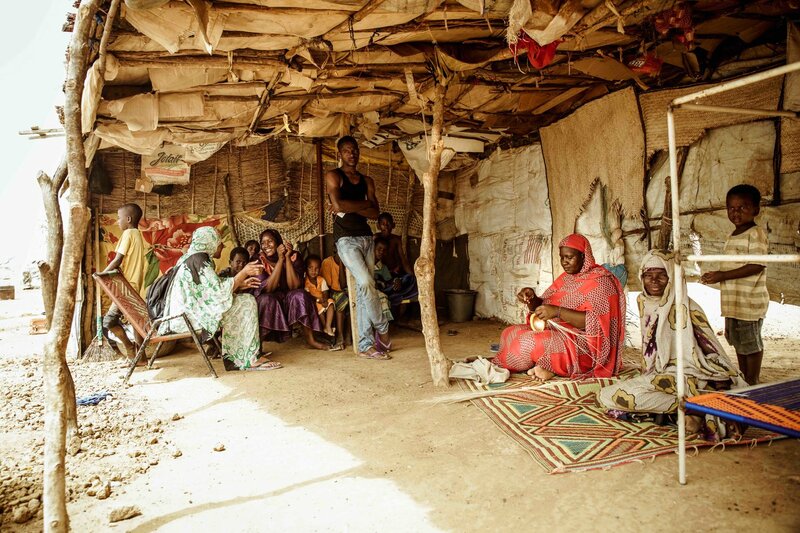 For example, we’ve started creating home interiors and expanding into working in other African communities, like Burkina Faso, where I had the opportunity to live for two months. In 2018, I’m trying to be better about balancing other projects alongside the brand, especially with the UN project, because it’s the first of its kind, so I’m just happy to be part of it. How about yourself? What's next for you personally, outside of the brand? I want to travel more. Being in Kumasi sometimes feels isolated from the world, so I look forward to traveling more, meeting new people, and finding more balance.